DA-SOFT Technologies announces the availability of AnyDAC for Delphi Spring 2011 release v 4.0.7.1719 – high-speed, Universal Data Access Components for Firebird, Interbase, SQLite, MySQL, MS SQL Server, Oracle, PostgreSQL, MS Access, IBM DB2, Sybase SQL Anywhere, Informix, DbExpress, ODBC, that simplifies the task of building Embarcadero Delphi, C++Builder and Free Pascal Compiler database applications. What is new in v4.0.7 and what is AnyDAC ? Enterprise – Oracle, MS SQL Server, IBM DB2. Workgroup – Firebird, Interbase, MySQL, PostgreSQL, SQL Anywhere, Advantage Database. Desktop – SQLite, MS Access, BlackFish SQL, MS SQL CE. DA-SOFT Technologies announces the availability of AnyDAC for Delphi Winter 2010 release v 4.0.5.1605 – high-speed, Universal Data Access Components for Firebird, Interbase, SQLite, MySQL, MS SQL Server, Oracle, PostgreSQL, MS Access, IBM DB2, Sybase SQL Anywhere, Informix, DbExpress, ODBC, that simplifies the task of building Embarcadero Delphi, C++Builder and Free Pascal Compiler database applications. What is new in v4.0.5 and what is AnyDAC ? Major rework of the help system. A lot of new “Developer Guide” articles. Multiple additions and changes to the Service components. Multiple optimizations of the Firebird, SQLite, PostgreSQL drivers and the general dataset code. Improved SQL Server, PostgreSQL and Informix support. Added mkCatalogs and mkSchemas metacommands. Workgroup – Firebird, Interbase, MySQL, PostgreSQL, SQL Anywhere, Advatage DS. 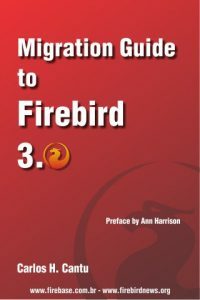 Embedded – SQLite, Firebird Embedded, MySQL Embedded. DA-SOFT Technologies announces the availability of AnyDAC for Delphiv 4.0.1.1463 – high-speed, Universal Data Access Components for Firebird, Interbase, SQLite, MySQL, MS SQL Server, Oracle, PostgreSQL, MS Access, IBM DB2, Sybase SQL Anywhere, DbExpress, ODBC, that simplifies the task of building CodeGear Delphi, C++Builder and Free Pascal Compiler database applications. What is new in v4.0.1 and what is AnyDAC ? Added DBMS services (backup, restore, repair, etc) support for Firebird, Interbase, SQLite, SQL Anywhere, MS Access. Added ADScript compatibility with IBScript. Added ftSingle and ftExtended support. Many ADMemTable improvements, improved TClientDataSet compatibility. Added SQLite driver strong encryption. Added MS SQL Azure support. Oracle driver, Informix access and general dataset optimization. Added SQL Anywhere v 12, SQLite v 3.7.0.1 support. DA-SOFT Technologies announces the availability of AnyDAC for Delphiv 3.0.1.1337 – high-speed, universal data access engine for Firebird, Interbase, MySQL, MS SQL Server, Oracle, PostgreSQL, SQLite, MS Access, IBM DB2, Sybase ASA, DbExpress, ODBC, that simplifies the task of building CodeGear Delphi, C++Builder and Free Pascal Compiler database applications. What new in v3.0.1 and what is AnyDAC ? Added unified support for the DBMS events (Firebird, Interbase, SQLite, Oracle, PostgreSQL, Sybase SQL Anywhere). Improved and new online documentation. TADSQliteIniFile addon (SQLite based registry). Virtual Storage Engine addon (decode BLOB into set of fields, eg XML BLOB -> set of attribute fields). AnyDAC is a unique set of universal Data Access Components for developing cross-database applications on CodeGear Delphi, C++Builder and Free Pascal. With its powerful common architecture AnyDAC enables native high-speed access to all major database systems. Native access to Firebird, MySQL, MS SQL Server, Oracle, PostgreSQL, SQLite, IBM DB2, InterBase, SQLite, Sybase SQL Anywhere and more. Generic access to any database supported through Embarcadero DbExpress and ODBC data sources. First-class support for many database-specific features. Optimized for best possible performance. Perfect integration as back-end driver for RemObjects Data Abstract, Fast Report, C4D kbmMW and more. Workgroup – Firebird, MySQL, PostgreSQL, Interbase, SQL Anywhere, Advatage DS.